The RV lifestyle is excellent. With your home on the road, there are no limits on where you can go and stay comfortably. Head out to a remote park or drive across the country as you please. There’s only one downside to that amount of freedom: fuel costs. 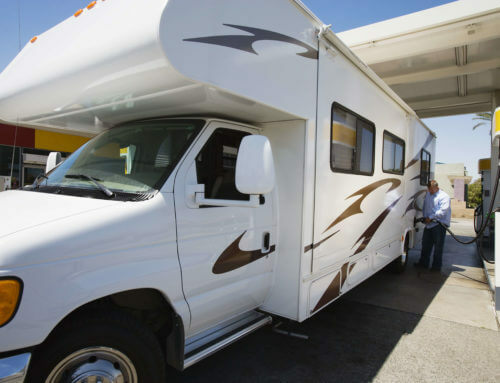 Days on the road in a large vehicle like an RV can do a real number on your budget. Where you buy your gas can make a big difference in the price. 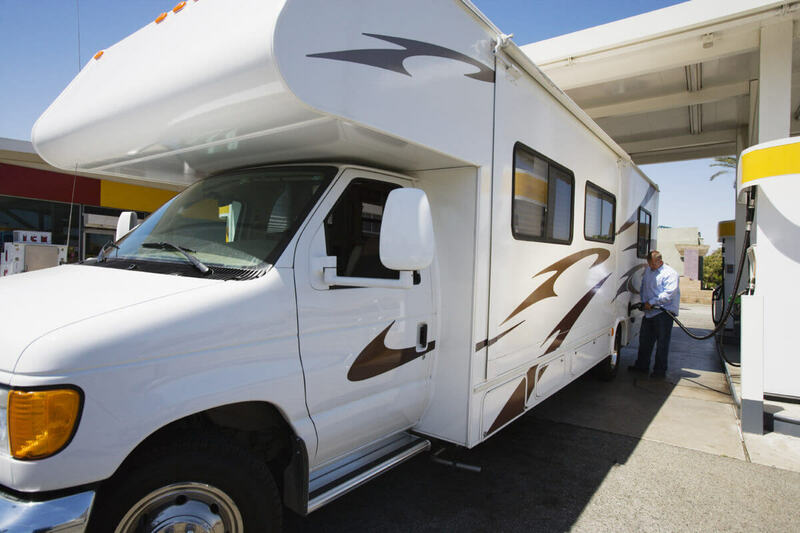 Experienced RVers and road trippers know, for example, that you might save a few cents per gallon just by taking a quick look at the gas signs before selecting a station. With today’s technology, you can scout out fuel prices along your route so that you know where to find the best gas prices. One tool you can use is the GasBuddy app, which can tell you gas prices anywhere in the country. Pro Tip: One vital place to think about gas prices is along state lines. Gas can be cheaper in one state than another, so before you cross that line, find out where it’s best to fill up! Grocery store memberships like Costco can catch you some savings at some gas stations. Alternatively, some credit cards also offer savings and rewards on your fuel purchases. If you’re an RVer who is on the road a lot, investing in the right credit card or a Costco membership may be worth it. Over time, fuel savings add up! Take a look at this list of the best credit cards for gas savings. 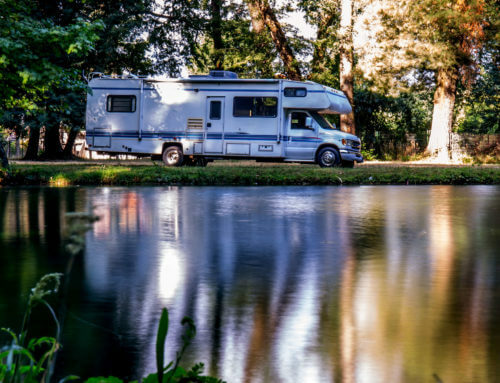 You’ll notice that many of these cards also offer savings for eating out, which may be something you also enjoy while on the road in your RV. In addition to shopping smart and taking advantage of rewards programs, the way you drive has a lot to do with your fuel efficiency. One of the best things you can do to avoid blowing fuel is to go easy on the accelerator. If you’re known for a lead foot, try easing up a bit. By accelerating at a more moderate pace, you may take a few minutes longer, but you’ll still get up to speed. In the process, you’ll save fuel. One of the great things about RVs is their size. That means that when you get momentum going, you can use it in your favor to avoid guzzling down gallons of gas. 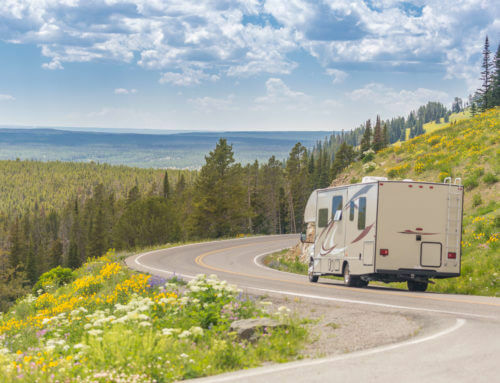 Even when there’s a slight downward grade, lift your foot off the gas and allow your RV to coast for a bit. You can coast down hills and coast as soon as you see stopped traffic ahead, going for a long, slow stop rather than an abrupt one. To be able to coast as much as possible, be sure to leave plenty of distance between yourself and the next car. Especially for larger vehicles like RVs, going over 55 mph can eat into your gas mileage. This is in large part because of the role aerodynamics plays when going faster. For every 1 mph above 55 mph, you can expect to add 0.1 additional miles per gallon to your spending. So, when on the highway, get going at 55 mph and hit that cruise control. After miles on the road, your savings will add up. How often do you check your tires? Tire pressure can have a significant effect on fuel efficiency. Believe it or not, you can improve your gas mileage by 0.6% simply by making sure you inflate your tires to the proper level. In some cases, you can improve your mileage by up to 3%. So, next time you hit the gas station, check your tires and add some air as necessary. 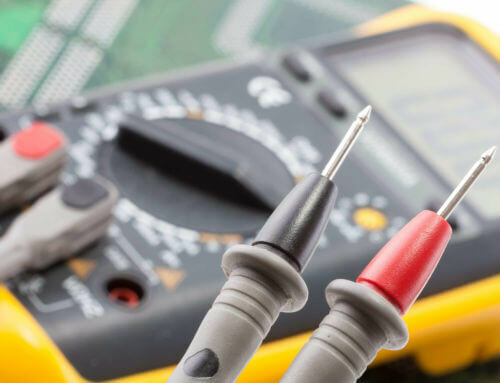 While each of these tips may seem like a minor change on their own, over time and in combination, they add up. Small changes can result in significant fuel savings. As an RVer, the more you save, the more you can travel! So, pick one or two things to start working on today and invest in your future vacations.